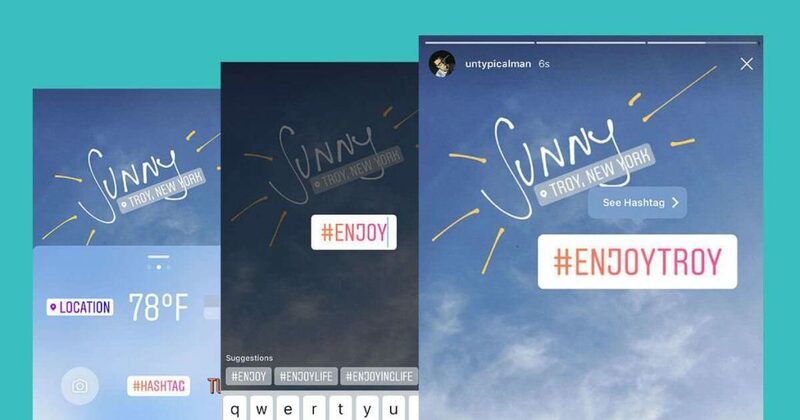 Instagram stories represent one of the most prominent social media content trends of today. It is estimated that more than 300 million people watch them on a daily basis. Save user behavior, they are also changing the way brands go about developing and executing their digital strategies. All of this has left many people wondering about the essence of their appeal. Well, to put it simply, it rests in their ephemeral nature. Short bursts of content that only last for a while trigger fear of missing out (FOMO). Shapchat pioneered this format and now Instagram is taking it a step further. The booming social media platform is perfectly geared toward compelling visual storytelling, which supports brand building and inspires action. And if you want to join the show and creating killer stories, you might want to heed these 10 commandments. Stories are not just about self-promotion and they can definitely go way beyond sales pitches. Think of them as a platform for a wide array of fun and engaging posts. These days, a lot of brands host monthly giveaways or entire contests via Instagram Live feature. One of the most remarkable examples I have seen was the interactive crossword puzzle contest by Webby Parker. Creativity is the defining characteristic of a great Story and you do not have to be a trendy fashion brand in order to have success with it. You just need to discover what is likely to be perceived as valuable content. In other words, get to know your target audience before launching your Stories. Dive deep into demographics, preferences, online habits, interests, and other relevant data. Stories revolve around amazing visuals, but we are not talking about just any type of visuals. Uses adore brands that show their human face and do not hide behind a corporate facade. And by being warm, I do not mean repackaging your “About Us” page for Instagram. You are better off joining in on the trend championed by the likes of The New York Times: sharing behind-the-scenes material. Restaurants can post videos of chefs preparing meals (or presenting recipes), companies candid employee-at-work photos, while sports teams may decide to reveal their innovative training methods. There are many ways to do it, but the goal remains the same: coming across as authentic and relatable and building trust with followers. Many brands make one common mistake. Hung up on generating sales, they lose sight of the fact that stories are a two-way avenue. Reproducing product and service information is just a glimpse of what is possible. Leading brands recognize how important it is to start conversations and to leave enough room for followers to assume active roles in them. 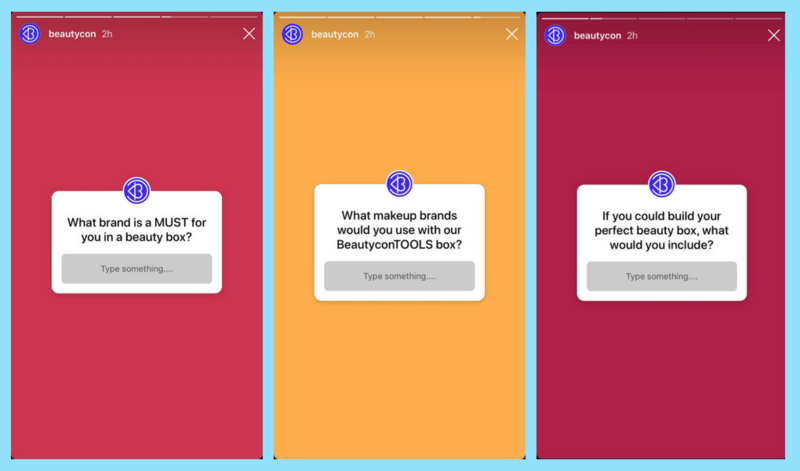 Users should be able to reply to stories and use the new Question Sticker. An additional benefit of such a transparent approach is collecting valuable customer data and informing business strategies that way. Another great feature to ponder comes in the form of interactive polls, which allow users to voice their opinions on a variety of topics or test their knowledge. Visuals may be the bread and butter of the Instagram realm, but that is not to say that text is irrelevant. In fact, you could argue that it does heavy lifting more often than not. This is especially true for brands that heavily invest in blogging and other written forms of content marketing, but others should not overlook it either. Bear in mind that the tone of voice is usually warm and conversational. Stories tend to be (or at least seem) more spontaneous and casual than the feed. This is more than apparent when you take a look at the copy that is paired with many of these content pieces. It usually works as an attention-grabbing hook that invites people to swipe and read further. One of the main purposes of Stories is to convey information. For instance, retail brands leverage them to announce product/collection launches and sales promotions. The next big thing in this area is probably going to be Shoppable Stories. As for other businesses, they post product FAQs, gather insights on what consumers would like to see, and share handy tutorials (Etsy is killing it with tutorials). Here, stories can act as a natural extension of feed posts, powerful promotional tools for driving sales. The trick, though, is not to be perceived as boring and uninventive. So, add a playful twist to the mix— it can be anything from a quality image to some humor. Google Maps has shown us how this is done. It has managed to breathe life into its Stories with user-generated shots of striking locations. Stories are not some sort of temporary, buzz-worthy content that exists in a vacuum. Creating stories is a great way to extend the reach of content assets and amplify brand messages. Therefore, professional digital marketing agencies point out to the role that bigger picture and overarching narrative play. We are talking about the whole Instagram feed and other branded real estate. The basic rule to follow is to make the content reflect the aesthetics that outline your marketing collateral and online presence (website, blog, and social media). Similarly, you need to pay attention to your social media calendar. Quality of Stories is paramount, but due to their short-lived nature, it is also important to earn a place on people’s screen with new content over and over again. It is worth revisiting that stores are so alluring due to their habit to expire quickly. While you should not even try to change this, there are ways to “cheat death”. For example, if you manage to strike a chord with the audience, you can save the Story to your Story Highlights. This feature allows your content to live on and continue to captivate followers. Another option is to include links to longer forms of content, which can be consumed on other platforms. This means that a Story can serve as a gateway to the more in-depth digital experience. As such, it complements your content marketing efforts across channels, even more so when you promote and boost your posts. 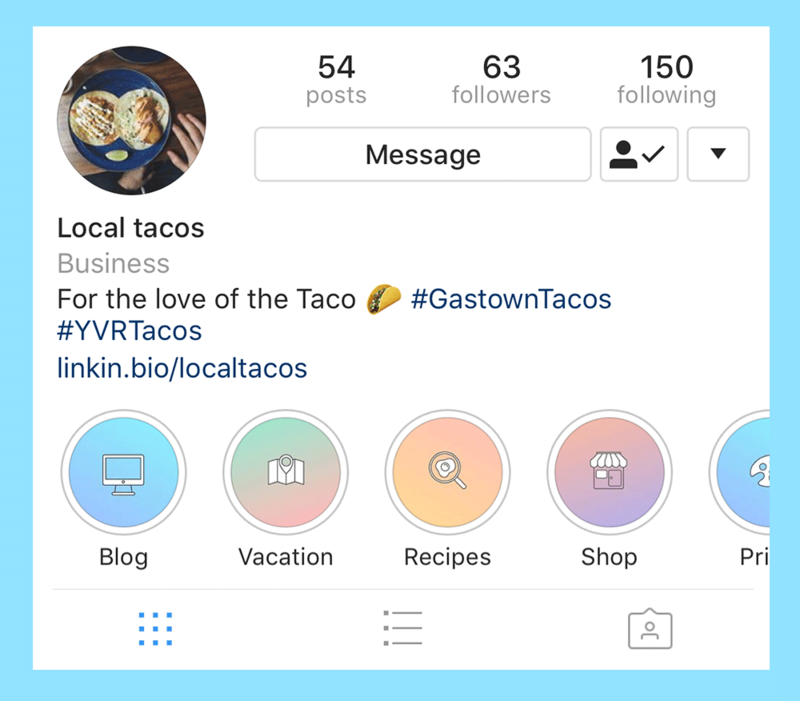 Hashtags are an invaluable tool for crafting impactful Instagram Stories— they allow prospects to easily find your content. There are no hard rules when it comes to picking a hashtag, but you do need to note that Instagram sets a limit to 30 hashtags per post. Moreover, research has revealed that creating too many does more harm than good, reducing average interactions. Moving on, a call-to-action (CTA) is another key component of a stellar Story, which can be added in the caption or the post itself. It is supposed to encourage people to share, comment on, and interact with your posts in other ways. You can also ask them to make a purchase, but do not be blatant about it. Remember: first offer value and then seek something in return. The main challenge is not to put together one amazing story, but how to keep things fresh and exciting over a long haul. Well, to really make waves in a crowded landscape, you need to set yourself apart from the cohorts of other similar brands. You can do so by employing different content types and alternating between them (while maintaining visual consistency). Original content is the main building block of stories, whether it is an upbeat music playlist for working out or a pop culture quiz. Easy-to-digest listicles are all the rage in recent years and brands like the National Geographic use them to maximum potential. We are also witnessing more and more episodic series of content. So, experiment with these content types and think outside the box! For good measure, you should check how well your Stories are doing. But, before that, there needs to be a set of key performance indicators in place. Is your goal to get in touch with new audiences, improve engagement rates, drive sales, maximize social signals, build brand awareness, or attract traffic to your website? Once these priorities are sorted out, it is time to select your analytical tools. You can easily check out the list of users who viewed individual posts within the Story via Instagram Story Analytics (under “Insights” button). But, there are numerous other tools that stand at your disposal. Feel free to research and find the one that suits your business needs the best. You should be able to gain insights and use them to fine-tune your strategy for the future. Instagram stories are here to stay and rock one of the biggest social hubs of today. Jumping on the bandwagon unprepared is not advisable. You want to get familiar with best practices and trends fueling the proliferation of this content format. Propelled by insights, look beyond merely highlighting your offers and bragging about how great you are. Likewise, refrain from merely recycling and wrapping up generic information in a visually appealing package. Instead, explore creative ways of utilizing stories and connecting with the target audience on a deeper level. Get personal and intimate and make sure your followers are in-the-know. Provide real value to cultivate loyalty and spread brand awareness. All your efforts should empower you to elevate digital marketing efforts and keep people constantly coming back for more. Angelina is an aspiring content writer who enjoys learning and sharing her knowledge about digital marketing. In her free time, she is spending time with her family and friends and creating Instagram stories about them.